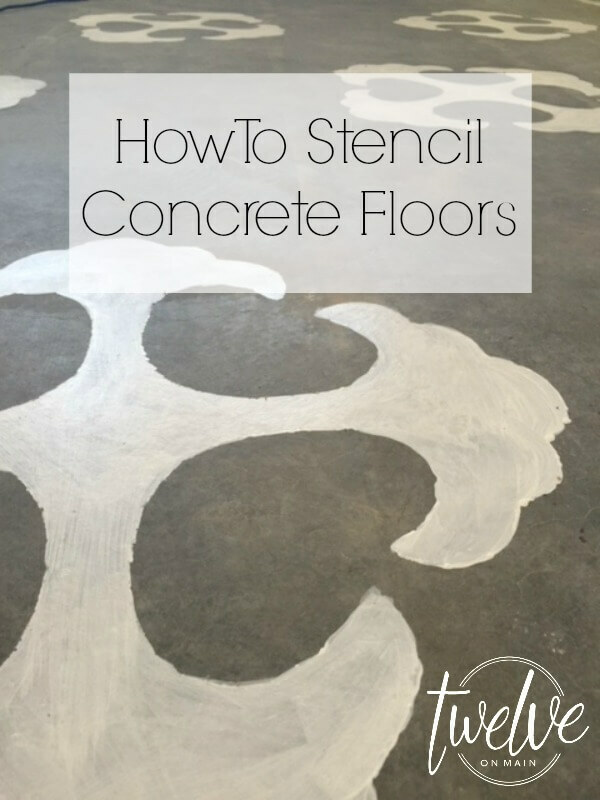 You are here: Home / DIY / How To Stencil A Concrete Floor! 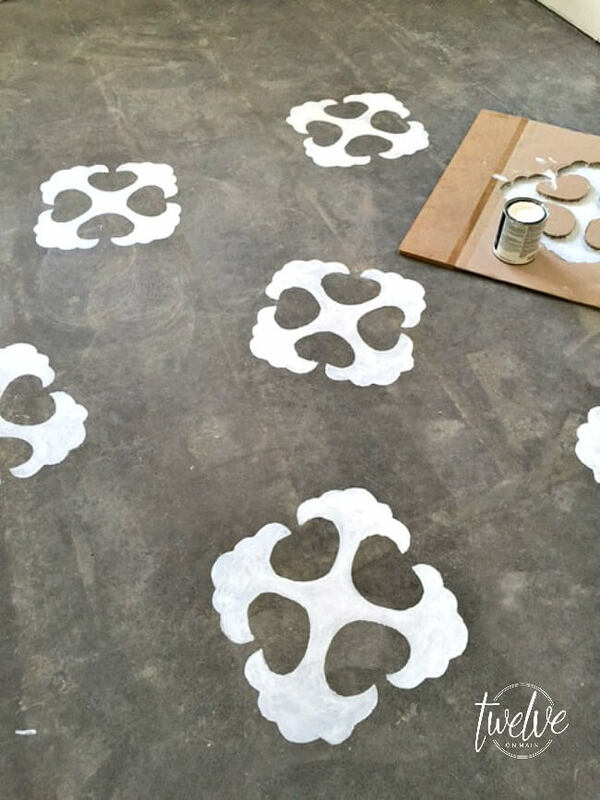 How To Stencil A Concrete Floor! I have decided. I will tear out the carpet in each and every one of my rooms. This has my husband in quite the panic. 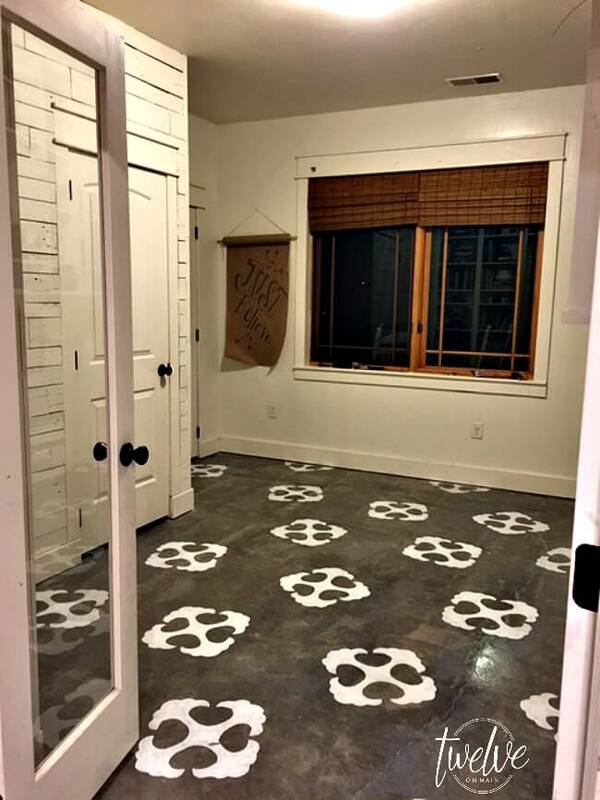 Its just a concrete floor. I digress. I must wait and break him in slowly. He is not a fan. Like at all. It is hard to explain to someone why I initially tore the carpet out in my office. I was having a bad day was the main root of it. I really was having a bad day. Like one of the worst. I have come to the realization that there is a very obvious correlation between a bad day and a very project heavy day. When I have had it, and need an out from life, this has become my therapy. I will tell you tearing out carpet all on your lonesome, wanting to prove to your husband that you can do it, really gives you time to work through those crazy days. Many people tell me this type of activity would stress them more, but not me. I have to tire my mind and my body. I end up sleeping like a baby. It is a similar feeling to Xanax without the hangover. And yes, I know what I am talking about. So, back to my original thought. even though mu carpet had been professionally cleaned twice a year for the past 10 years, it was still the most awful thing to see what lingered underneath said carpet. GROSS. Hey, we live in our house. If you have been following my office to art studio transformation, it was following a slow progression. That was until this last weekend. 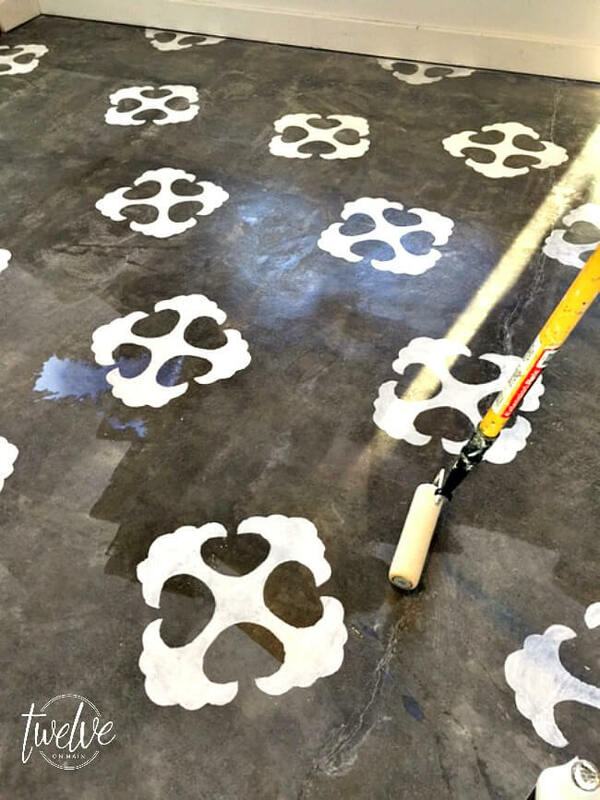 I was able to accomplish the biggest beast in the room: stenciling the concrete floors. 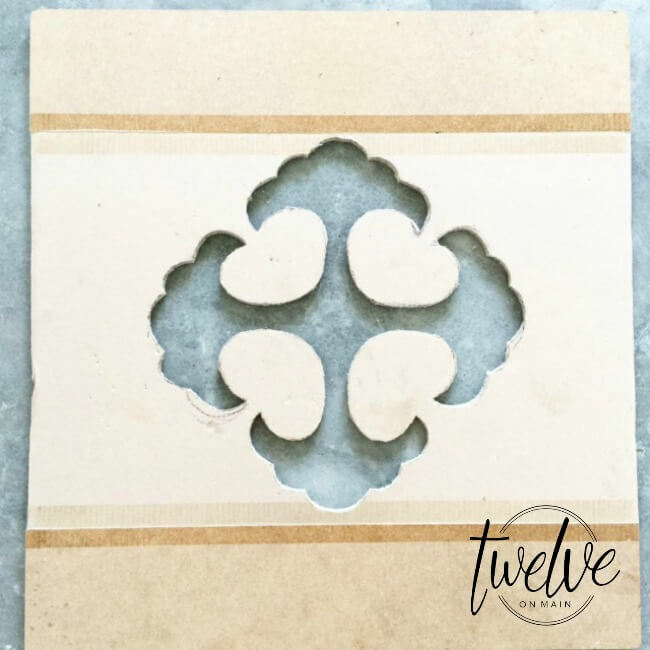 I kept hoping and praying I could find the exact stencil I wanted to use so that I could avoid having to create my own. But alas, I am difficult and that did not come to fruition. So, with a little encouragement from my sister, I just went for it. 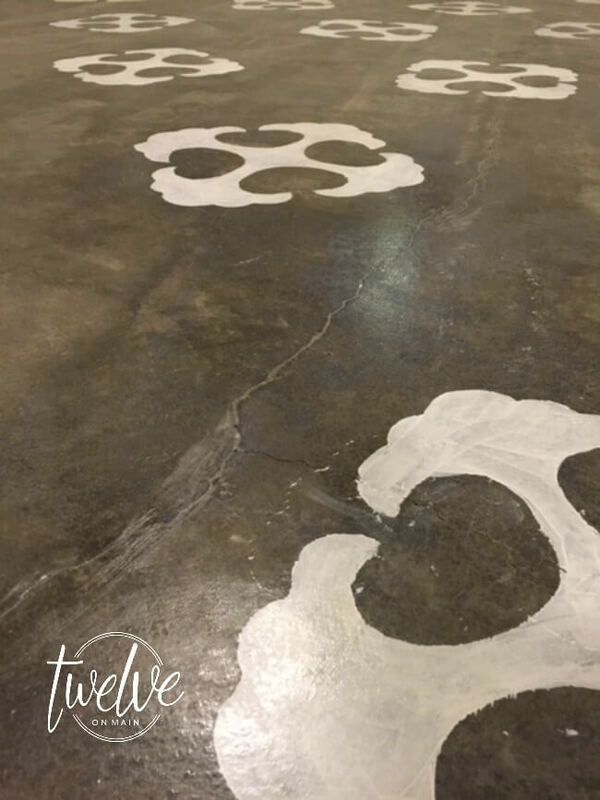 Here is my tutorial on how to stencil a concrete floor without losing your mind. 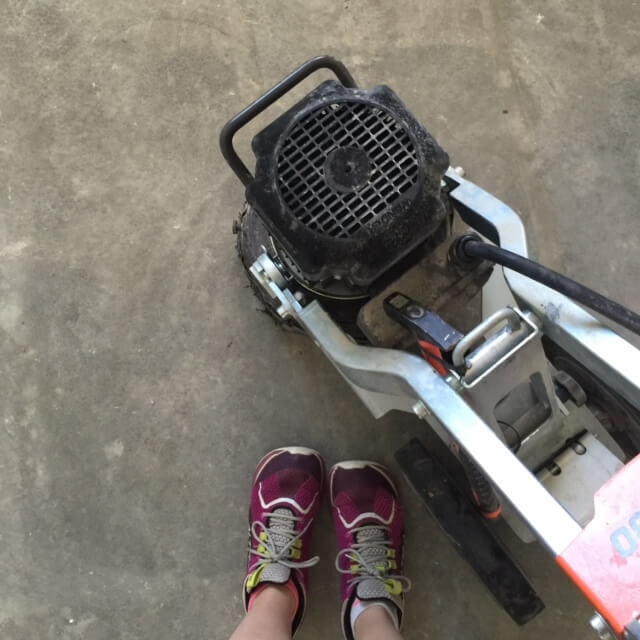 I began my day by sanding and cleaning the concrete thoroughly. This meant I spend a few hours on my hands and knees. I was going to use a floor buffer from our business, but found that we did not have the right Amp for the machine. Once the floor was clean, I began to make my stencil. I used a cardboard box to create my stencil. I drew up what I wanted the stencil to look like. I measured the widths and made sure that they were the same on all four sides. I was okay with it not being perfectly exact since it was freehand, but I did want the measurements to be pretty spot on. I found my original inspiration form a small store in one of our local towns called Small Town Cozy. They have some amazing items in their store if you are ever in Panguitch, Utah. They had painted s stencil similar to this on their hardwood floor. I wish I had old wood floor to paint on. Once I had it drawn to my satisfaction, I used my Xacto knife to cut out the pattern. I began by making superficial cuts though out the pattern. I then went through and cut deeper, removing sections as I went. Once I was done with that I was ready to stencil. I used concrete plaint in white to paint with. I picked a spot in the room to place the first stencil. I used a smaller paintbrush and traced the pattern making sure there was no excess paint on the brush. You do not want the paint to puddle up. I painted a full coat onto the pattern and then once it was dry, which was rather quick I added one more coat. My goal for this pattern was to give it a slightly imperfect and weathered appearance. I was okay with a little unevenness. Having said that, I did want consistency. I did not line up my stencil rather, I eyeballed and rotated the pattern and just made sure there was a good balance to the pattern. Once I had most of the floor done, I focused on the areas closest to the walls. 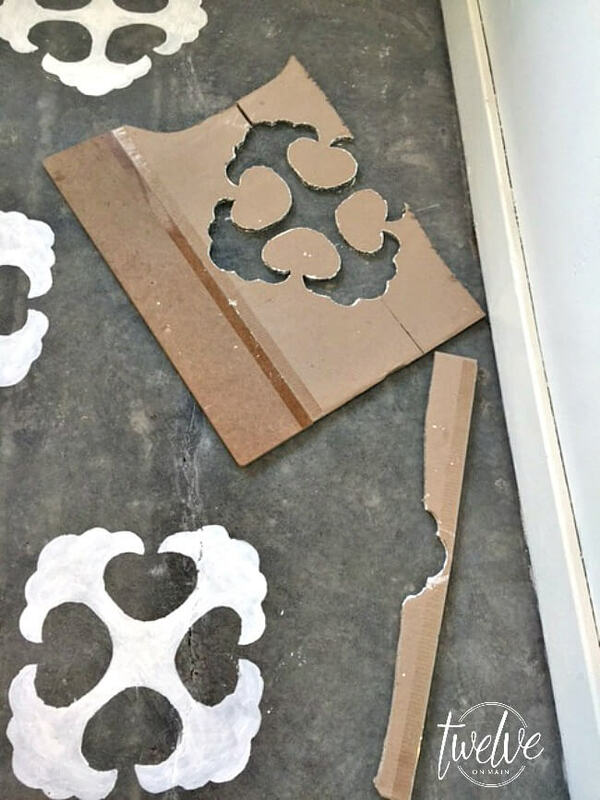 I ended up cutting my stencil in half and then cut those into pieces. I ended up with a puzzle of sorts. That way I could use just the pieces I needed to paint right up against the walls. I was able to create the appearance that the pattern continued under the wall. Continuity my dear friends. 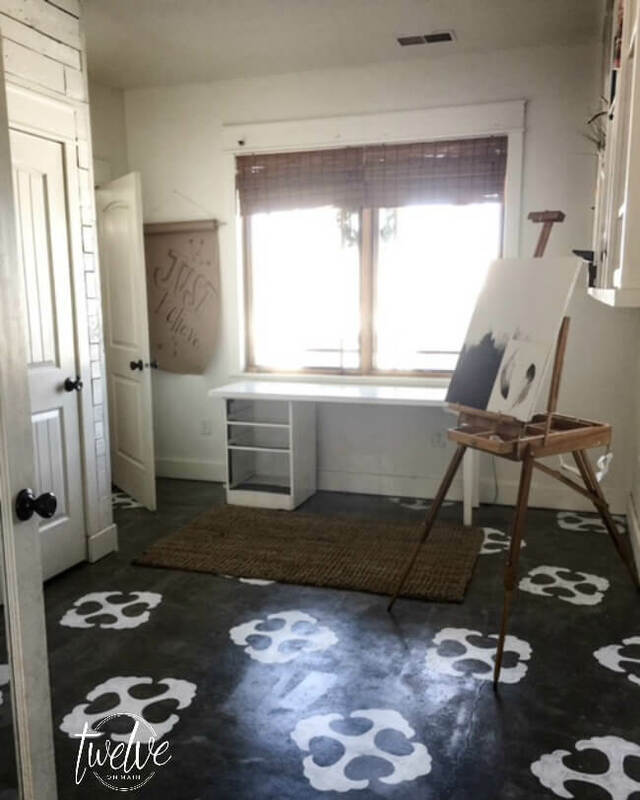 Once I was done with the stenciling, I let the floor dry for about 2 hours, which was the instructions on the concrete paint can. The next step might not have been necessary but it was for me. 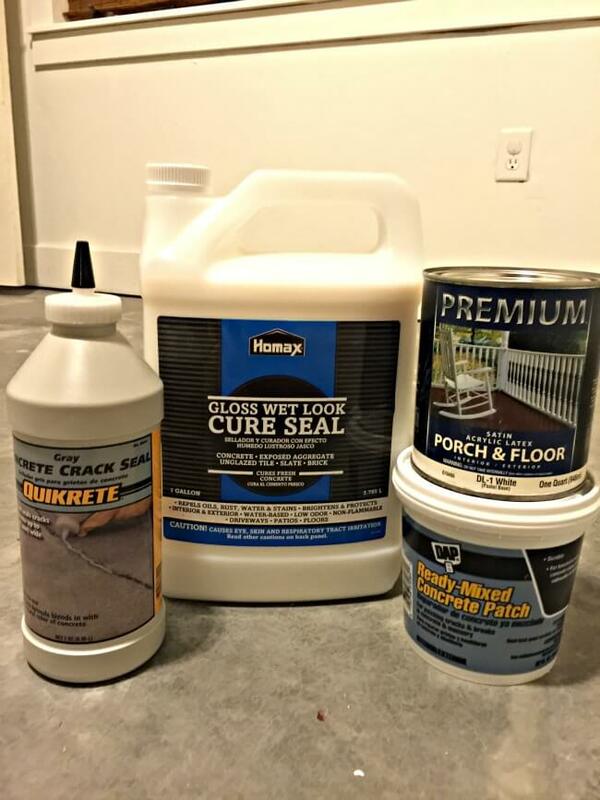 I used a concrete sealer on the floor to protect the stencil and seal the floor. This brought out the amazing color and texture of the concrete floor. It also created a barrier for water, oils and other paints. That is kind of a requirement in my studio. I painted the sealer on with a roller, and ended up applying 3 coats. Again, this would totally be up to you and how much wear and tear you are anticipating. I let the sealer cure overnight before doing anything else. I really cannot wait to jump into creating some artwork in here too. I mean, after all, that is what I am doing this for. 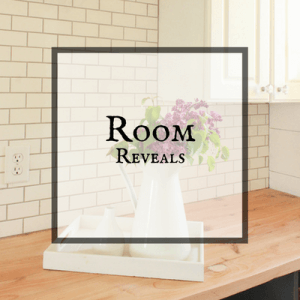 Stay tuned for more exciting reveals in this room. 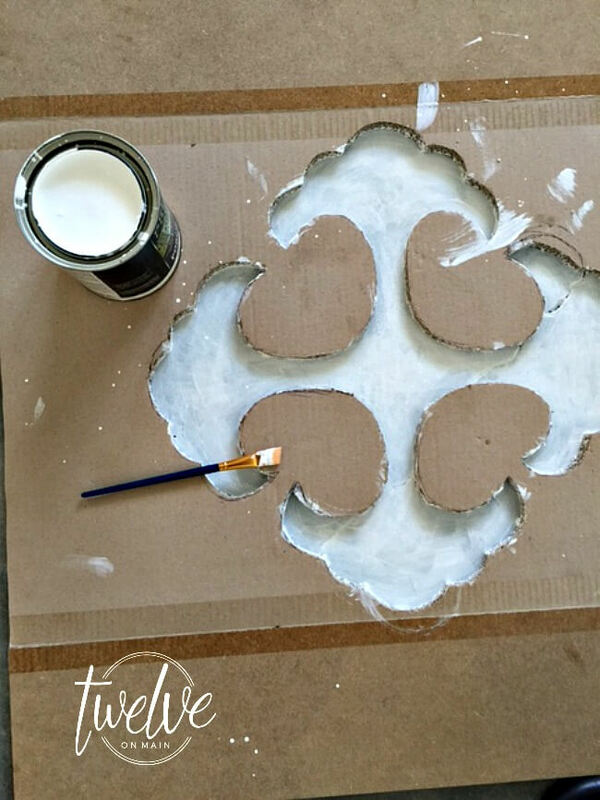 The stencil is wonderful–Love this! 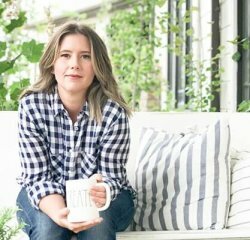 When I had my home built 16 years ago, I chose stained concrete flooring in the main living areas but the builders insisted on carpet in the bedrooms. Over the years, I have ripped up every bit of carpet and stained the remaining rooms. It is a lot of work, especially for one person. Like you though, I love the results! That is so great! I love the idea of taking the carpet out of all my rooms too! My hubby does not. So, I will silently work my magic on him, and eventually I think he will be okay with it! It looks wonderful, Sara! Wow, what a transformation. Hopefully your husband is coming around. I know what you mean about carpet. After my first “flip” house, I’ve never had carpet again. LOL! I know what you mean about having to break projects to the Husband haha! 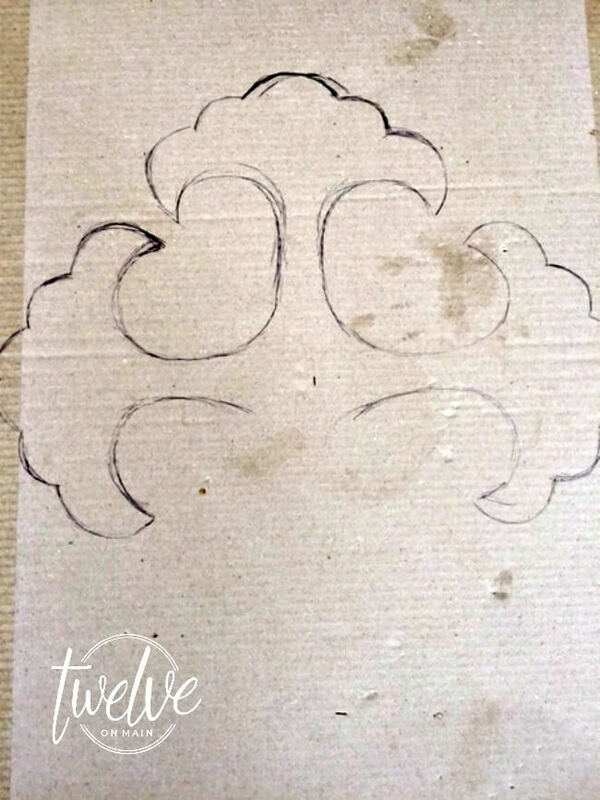 Like how this turned out, and it seems really easy (although I probably wouldn’t make my own stencil, that seemed like the trickiest part!). 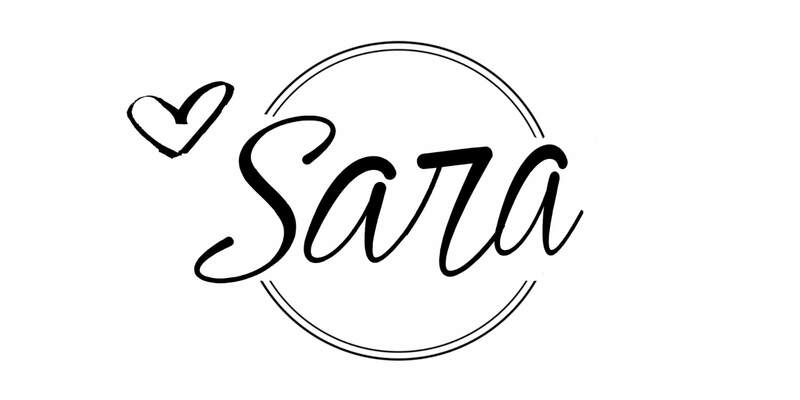 Beautiful job Sara! 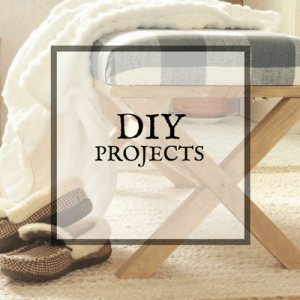 I totally understand the need for projects after a rough day! I’m the same way! Thank you for sharing at Dream. Create. Inspire. Link. Pinning! Loove this! So so pretty!!! Nice work! There’s so much one can do with concrete and the details you have added are a nice touch! very smart idea! nice pattern. i would love to have hearts and stars shape this weekend, thanks to you. Sara that looks amazing!! 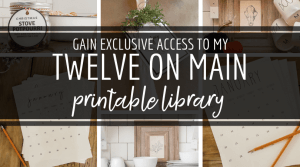 I love the Stencil and you’re right the sealer made it pop!! Nice work! I was just wondering where to buy the Xacto knife?